That year was, they say, the coldest summer Ireland had seen in 47 years but we wouldn’t know about that; all we know is every time we went online to check news from home it was warmer in Wellington’s June than in Ireland. 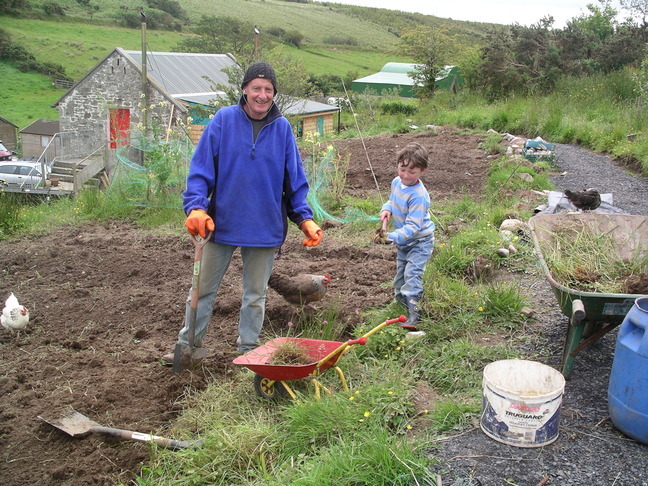 We had arranged through the Irish WWOOFing (world wide opportunities on organic farms) site to do two weeks work on a small vegetable farm in return for bed and board. So we drove into Julie and Graham’s small holding in drizzly rain wondering what we were in for. We need not have worried. 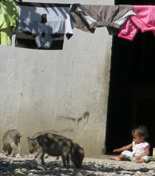 Within a short time it was apparent we had stumbled upon a most welcoming young family who we now count as friends. 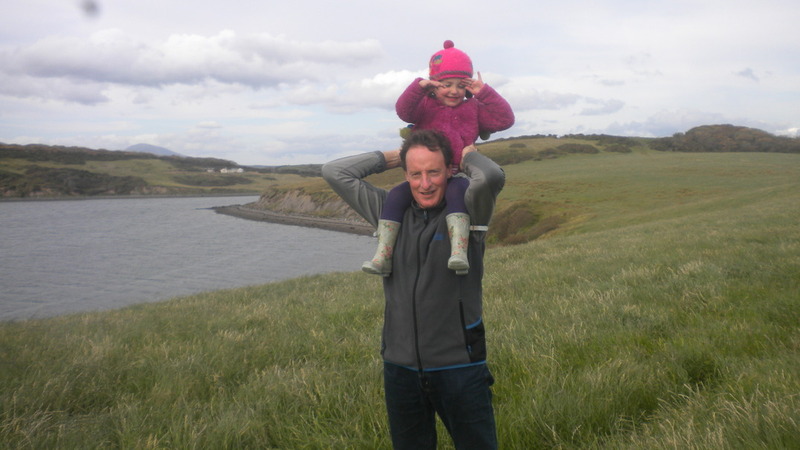 Graham is caregiver to their two young children, as well as a renowned craftsman fiddle maker, while Julie is a primary teacher at the local Gaelic language school and both are accomplished musicians. 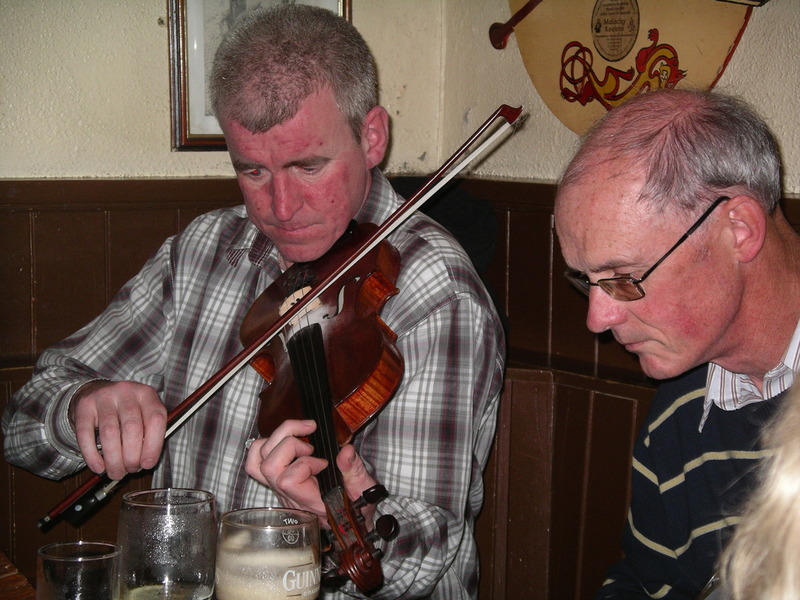 We accompanied Julie a couple of times each week to local pubs where she was a core member of the traditional music sessions. Sometimes just three or four – at other times swelling to five, six… ten – musicians would play and sing the hours away. The guitarist just back from Saudi Arabia; the Scottish folk singers visiting town for a house warming; a member of Grada taking a break from touring; the American flute player come back to live in the village of his ancestors; and locals who joined just for a tune or two. All added to each evening. Julie and Graham live a semi-self-sufficient life on a small piece of land from Julie’s father’s larger sheep farm. And in return for us bending our backs in their vegetable garden we city folk were blessed with sharing in an idyllic country life where the food has been grown or raised nearby, the entertainment comes from music you make yourselves rather than replay, and stories and friends just keep on coming when people decide to have a session. Many compensations, despite the coldest summer in 47 years. Ireland is having a tough economic time of it at present, but our experience was that the Irish welcome and craic is as strong as ever. And our extended stay in the countryside and small communities of Ireland gave us much to ponder and reflect on. John O’Donohue – Irish writer, philosopher and spiritual guide – said something to the effect that when you step out into the Irish landscape you are encountering a living entity; that the landscape – rock, plantlife, soil – is not a static, background thing, but something to enter into a relationship with, and be nurtured by. Sounds familiar stuff to us tangata whenua, eh? This entry was posted on Friday, March 9th, 2012 at 2:25 pm and is filed under Visiting Ireland. You can follow any responses to this entry through the RSS 2.0 feed. You can leave a response, or trackback from your own site.